Hola peeps! As mentioned before I am not a cold weather chica, although I do love fall clothes. What’s not to love—chunky knit sweaters, leather jackets, hot boots, tons of faux fur and the list goes on! Here are a few items on my radar that I wouldn’t mind rocking this season and beyond. The Southwestern midi dress is perfectly on trend paired with cool suede booties and a faux-fur handbag. 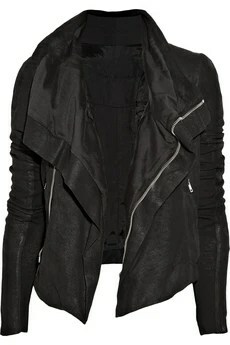 Top it off with an edgy leather jacket by Rick Owens and purple polish by Butter London seals the deal. Wear all of these pieces together or separately, either way you can’t go wrong. If you like what you see click the pics for deets! Happy Shopping! Just posted on Navajo prints myself yesterday. I have really been loving the ease without being bland. Great post.